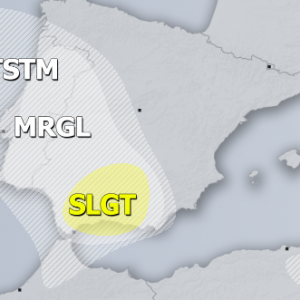 A large trough and surface low remain over eastern Atlantic with a cold front affecting W Iberia. 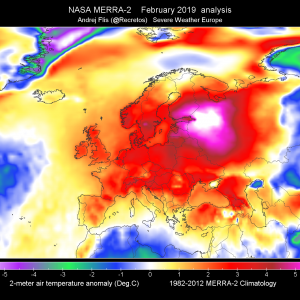 A short wave crosses the Alps. 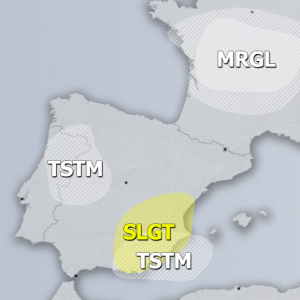 A MDT risk has been issued for extreme W Iberia with threat for tornadoes, severe winds, marginal hail and heavy excessive rain. 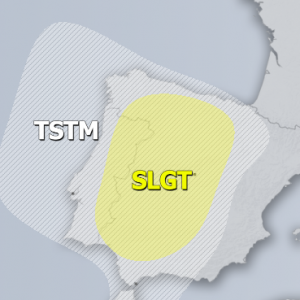 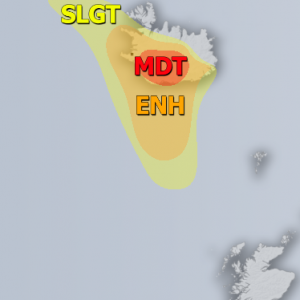 A SLGT risk has been issued for areas surrounding the MDT risk area and towards the SW UK with threat for strong to severe winds, heavy rain and some tornado threat. 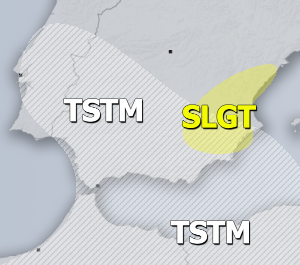 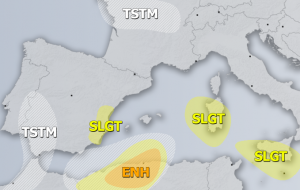 A SLGT+ has been issued for parts of Liguria and Toscana regions in N-CNTRL Italy with threat for excessive rain and some tornado/wind threat. 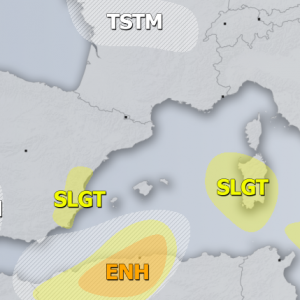 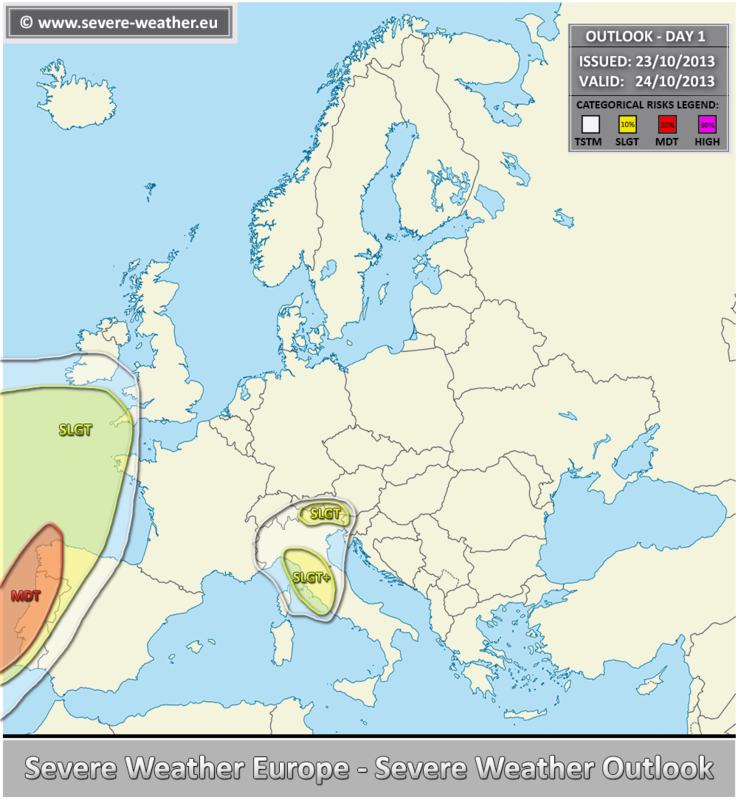 A SLGT risk has been issued for NE Italy and surroundings with threat for heavy rain.